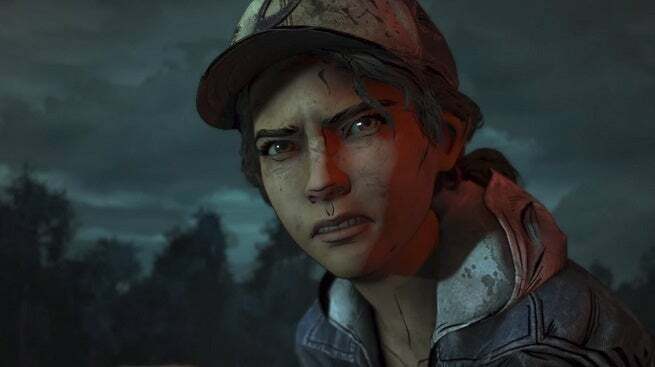 The Walking Dead: The Final Season’s newest trailer is now out for the game’s third episode called “Broken Toys” and shows some dark scenes involving the game’s protagonists. Skybound Games, the studio in charge of Telltale Games’ project after the latter was hit with major layoffs and development on the game shifted to Skybound, released the trailer on Monday which featured both Clementine and A.J. as well as other characters long-time players will recognize. Lily’s also back in this trailer, an antagonist who’s return was teased previously, and the two main characters are apparently willing to torture people to get information about their foe. The trailer also shows a scene that The Walking Dead viewers will recognize from the show where Clementine has to blend in with the Walkers to remain undetected. It’s a tactic often used by characters in the TV show where they cover themselves in human remains to mask their scent, and its seems like Clementine and others will have to do the same to reach their goals. Episode 3’s release also still seems to be on track with the end of the trailer saying “Broken Toys” will be out on January 15th, just over a week away now. The release date of the third episode was revealed previously in a teaser Skybound Games shared, a teaser revealed as the surprise endcap to Kinda Funny’s Kinda Funny Games Showcase. Skybound Games’ CEO Ian Howe previously projected that the episode would be out by the end of 2018, but it seems the developers only barely missed that mark now that it’s coming out this month. After Episode 3 is out, there will be just one more episode to release for the game which will wrap up the series. That last episode is called “Take Us Back” and was originally scheduled to be out on December 18, 2018, before the turmoil at Telltale Games took place, but it no longer has a release date now that development has shifted to Skybound Games. A group of “Still Not Bitten” Telltale Games developers have been recruited by Skybound Games to continue working on the project with those game creators featured in the Kinda Funny trailer released previously. The Walking Dead: The Final Season’s “Broken Toys” episode will be released on January 15th. The next episode will also be released for the PC exclusively in the Epic Games Store, but those who already purchased the full game and all included episodes won’t have to rebuy anything.